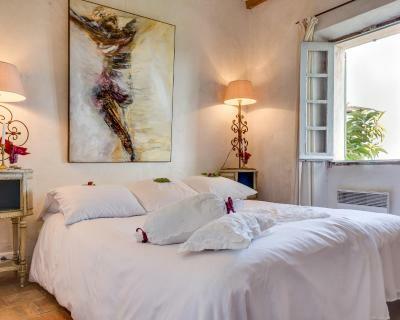 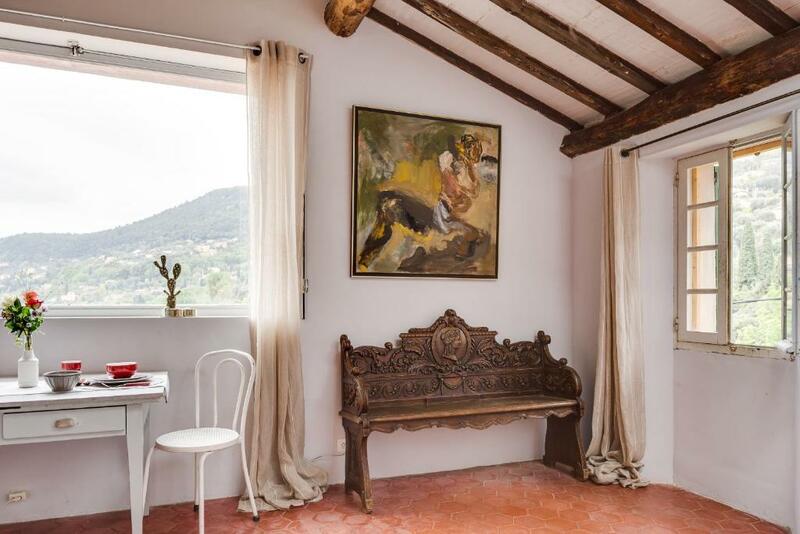 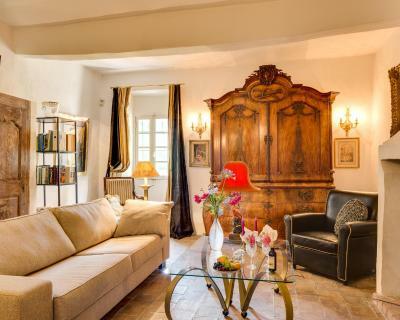 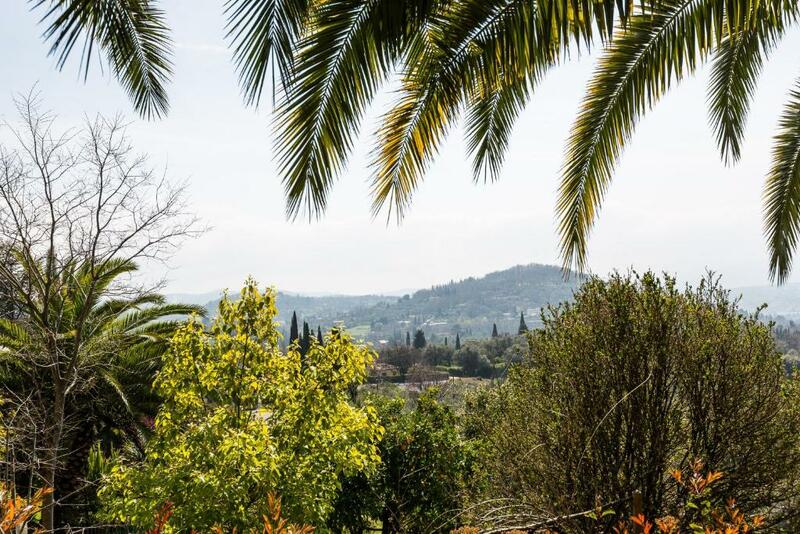 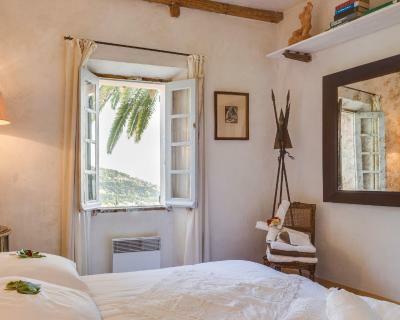 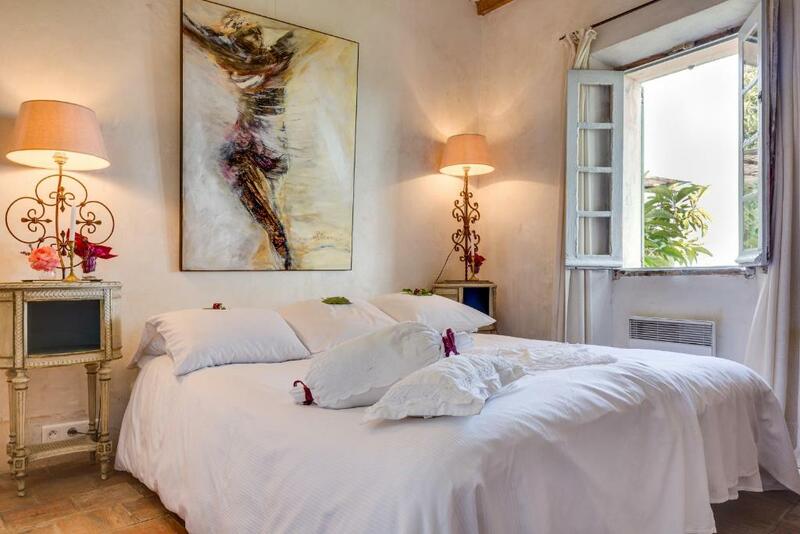 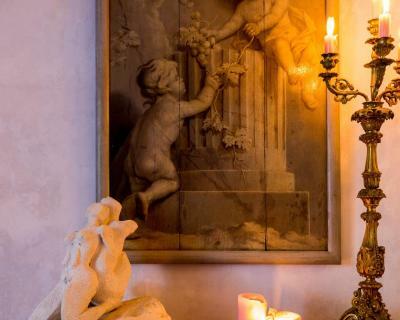 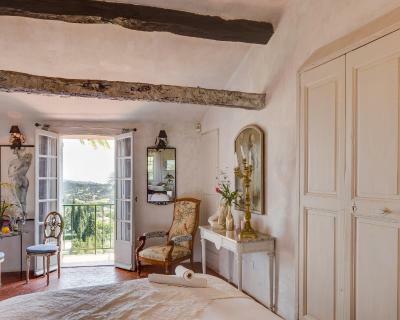 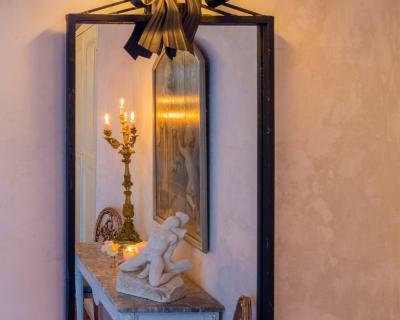 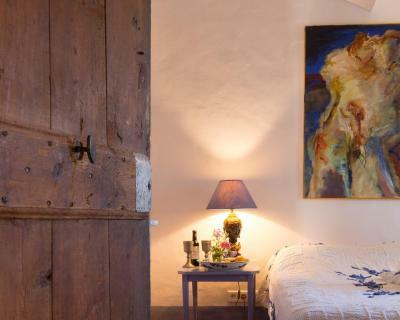 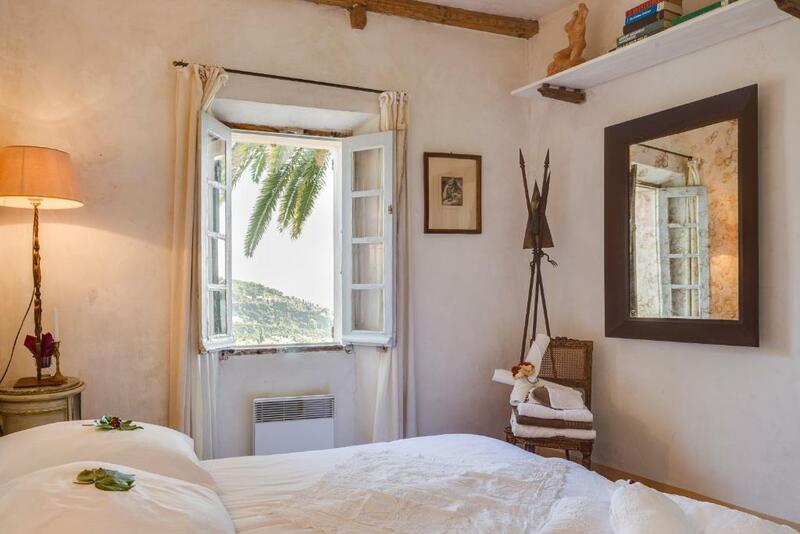 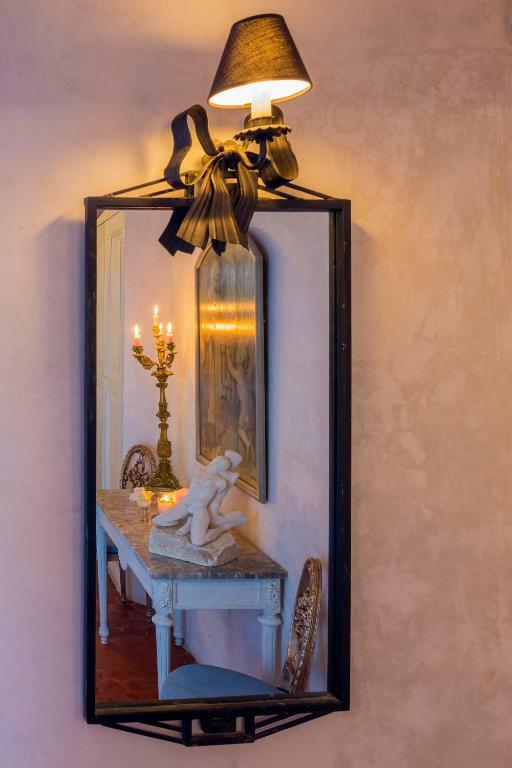 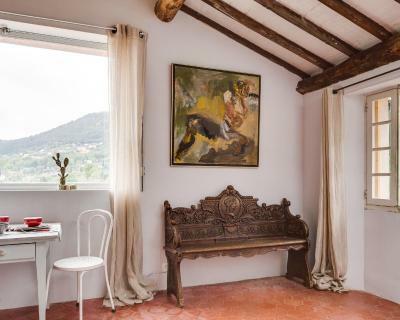 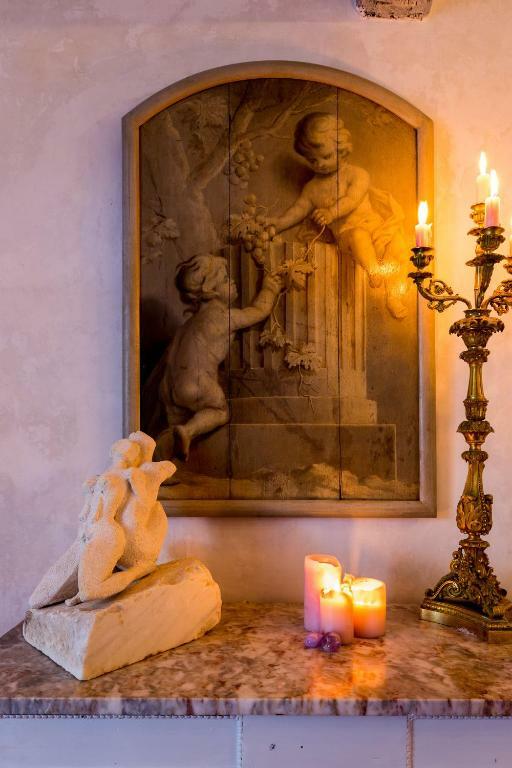 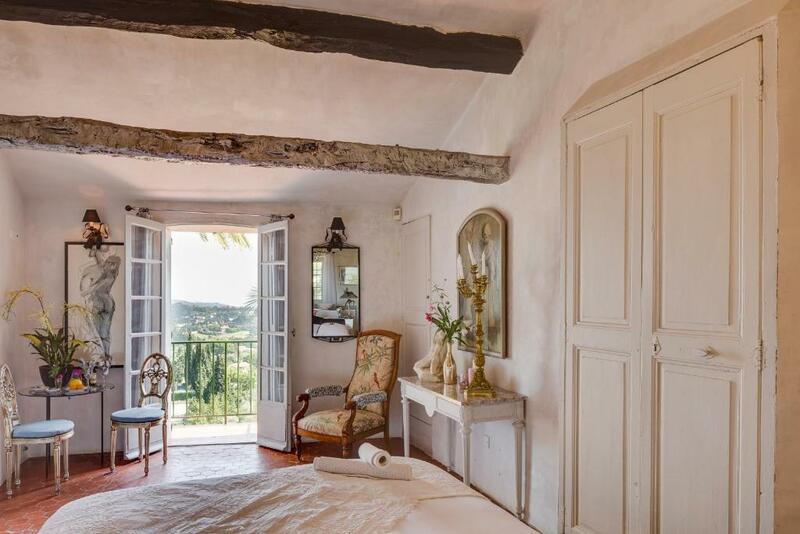 Decorated with the host’s paintings and sculptures, the bedroom suite with a fireplace offers a view of the valley and the sea, a seating area with a sofa and a private bathroom with shower, washbasin and toilet. Please note that an extra bed is available upon request, for a supplement charge of EUR 35 per night. 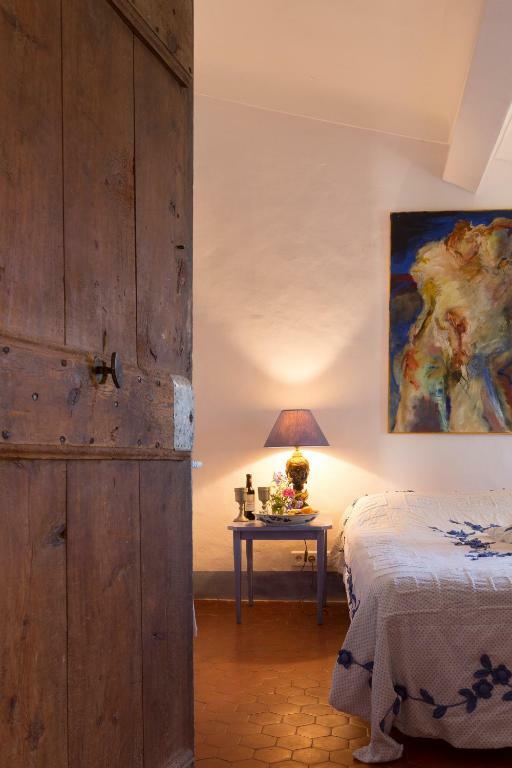 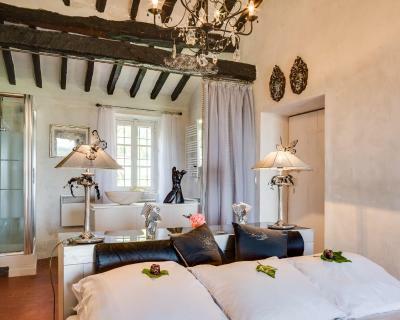 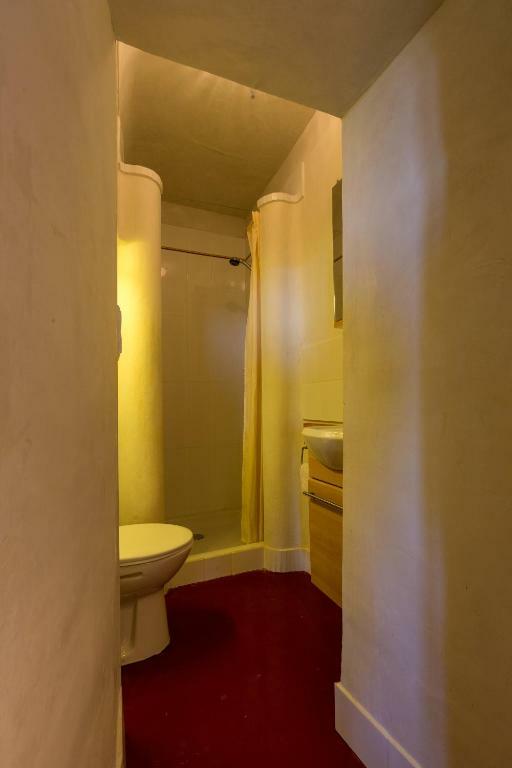 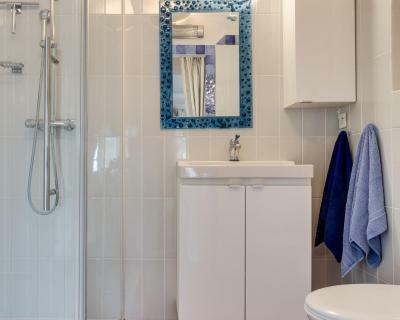 Decorated with the host’s paintings and sculptures, this spacious deluxe double room offers a large double bed, a shower cabin, toilet and a washbasin, all located in the same room and separate by a curtain. The room features a balcony with views over the sea and the mountains. 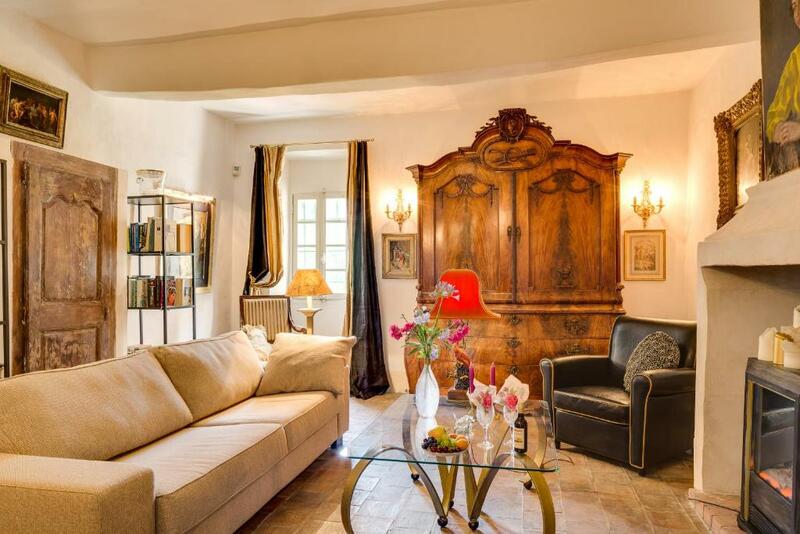 Guests can also use of a common living room with a TV and a fireplace. 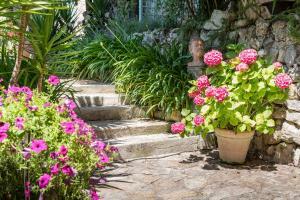 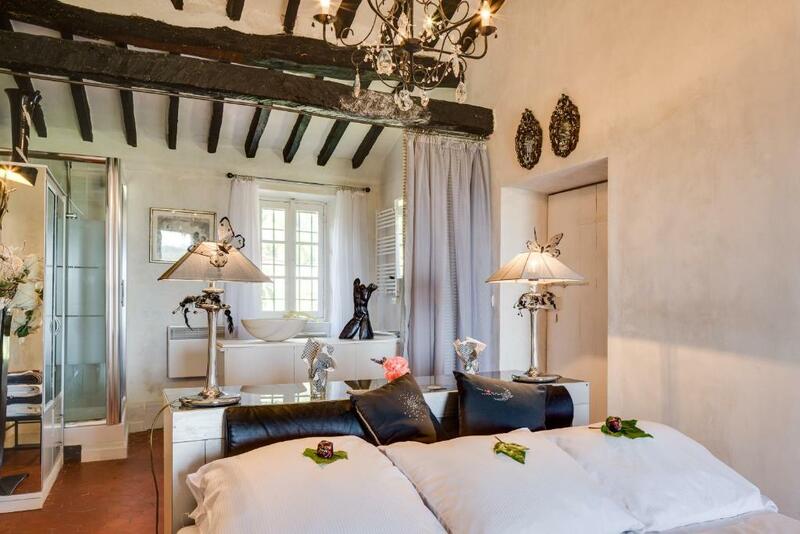 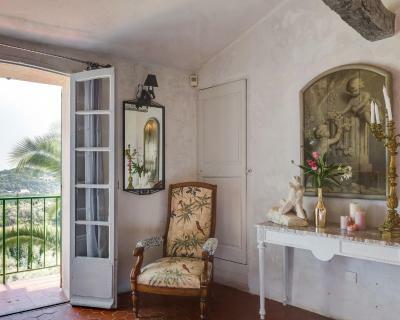 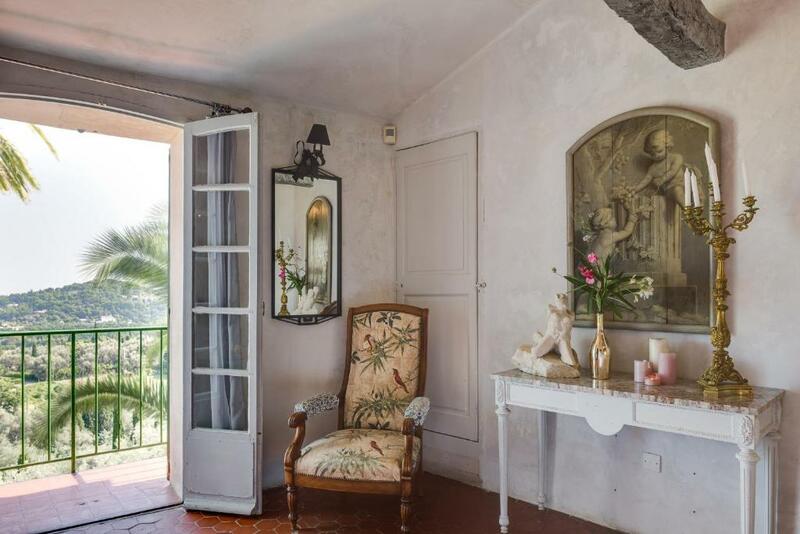 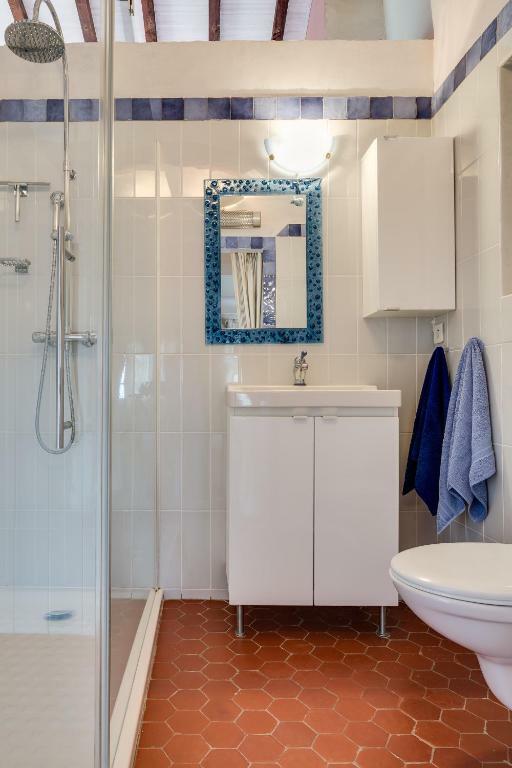 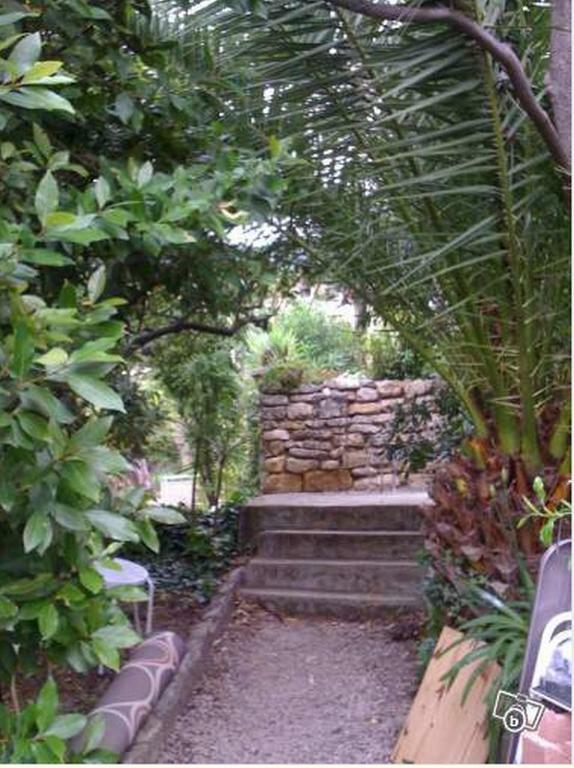 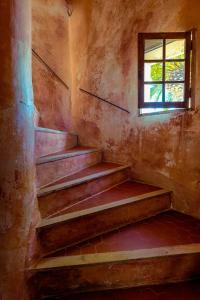 This apartment located on the 2nd floor was the former studio of the French artist Savary. 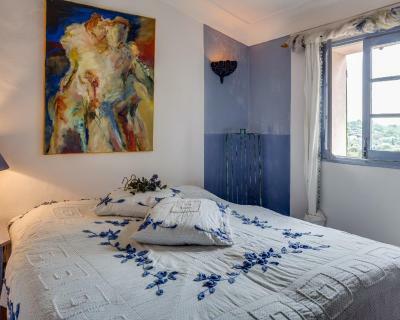 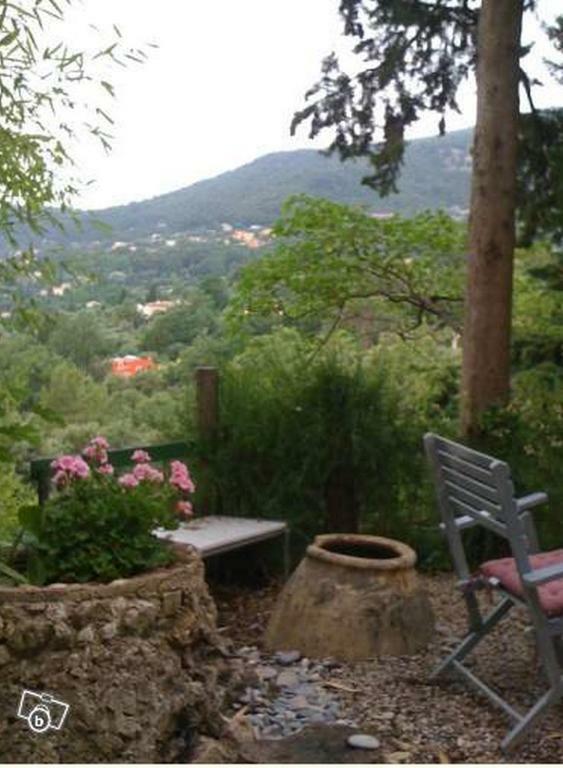 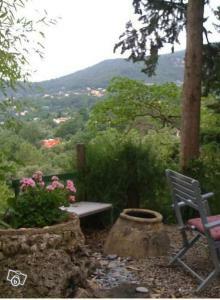 The apartment has a bedroom with a view of the valley and the sea. 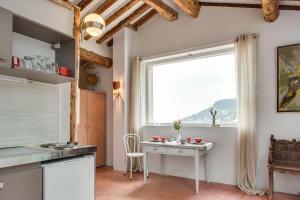 There is a living room with a bay window offering a view of the valley and the apartment also has an equipped kitchenette. 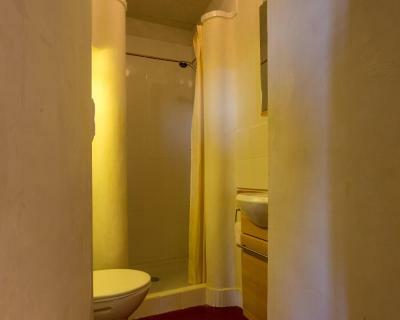 There is a walk-in shower in the bathroom. 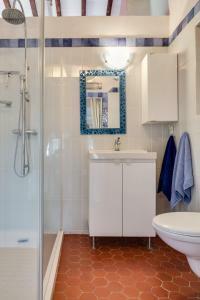 Bed linen, towels and cleaning are included in the price. 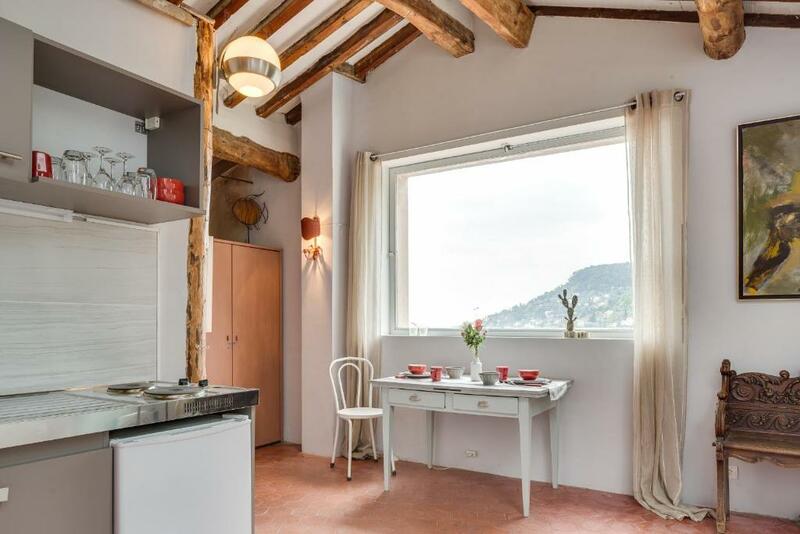 Breakfast is not included in this apartment. Please note that an extra bed is available upon request, for a supplement charge of EUR 25 per night. 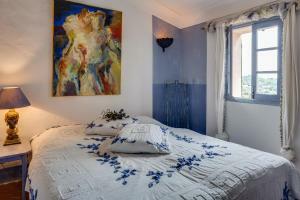 All further children or adults are charged EUR 35 per night for extra beds.